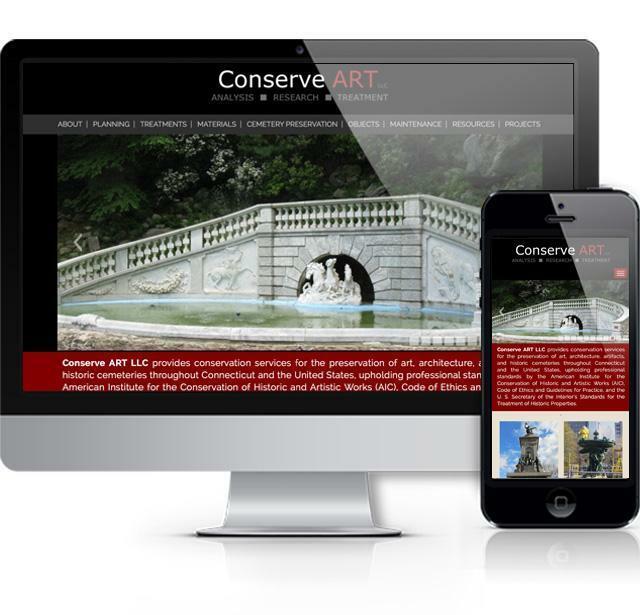 While we are writing up this case study for conserve-art.com, please contact us if you are interested in learning how we handle projects such as this one – where there is an abundance of great photography showcasing services. This project included: building and updating the website in WordPress, creating a content strategy to help showcase the work and the expertise of the business, and creating an admin area for Conserve Art to handle content updates (plus training on how to use). Use this form or call us at 203.535.1631 with any questions.